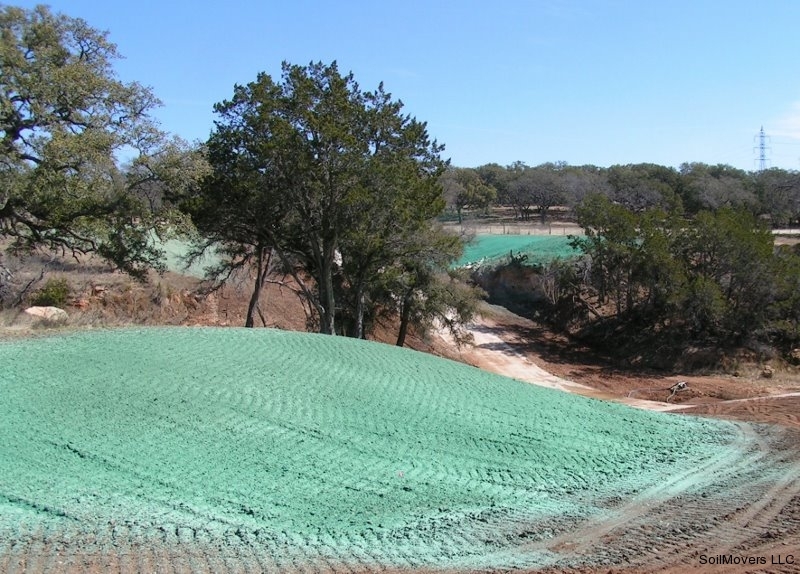 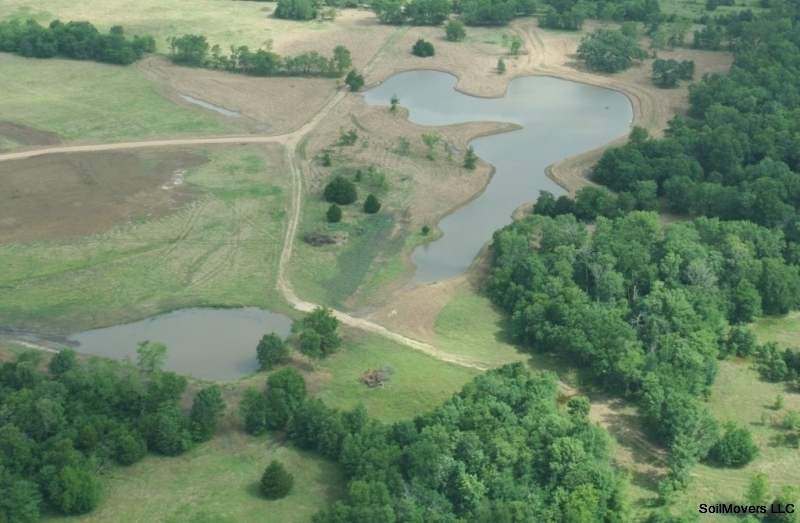 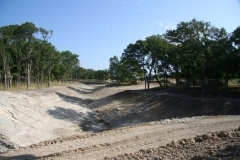 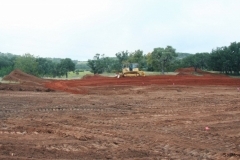 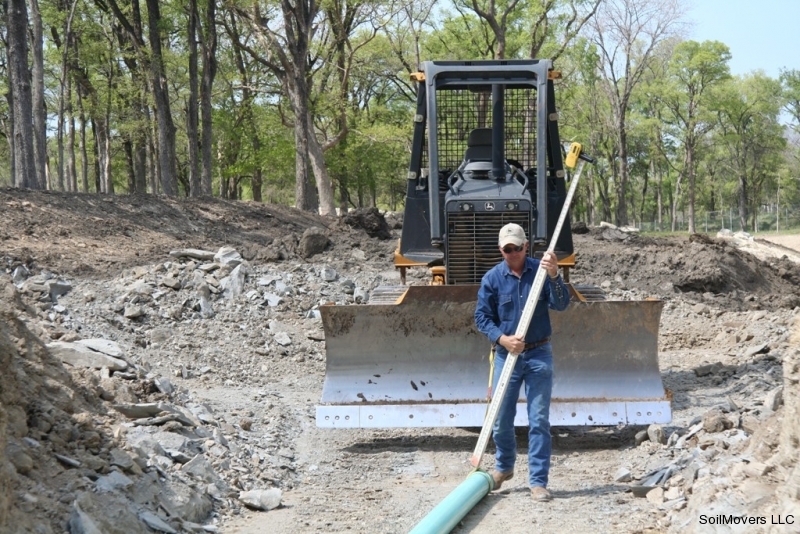 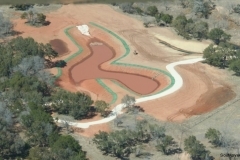 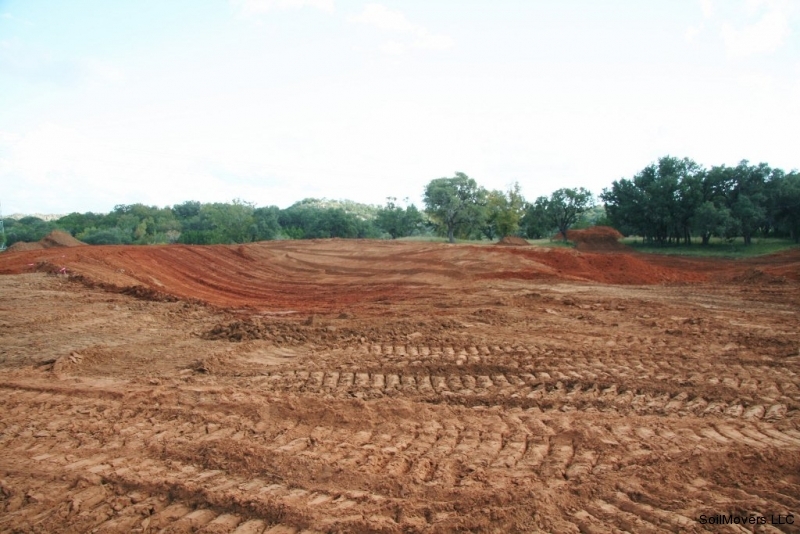 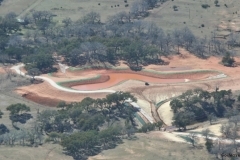 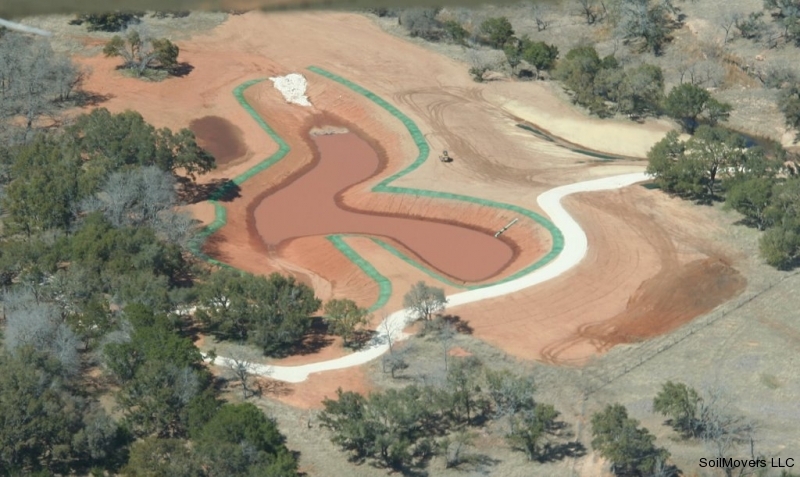 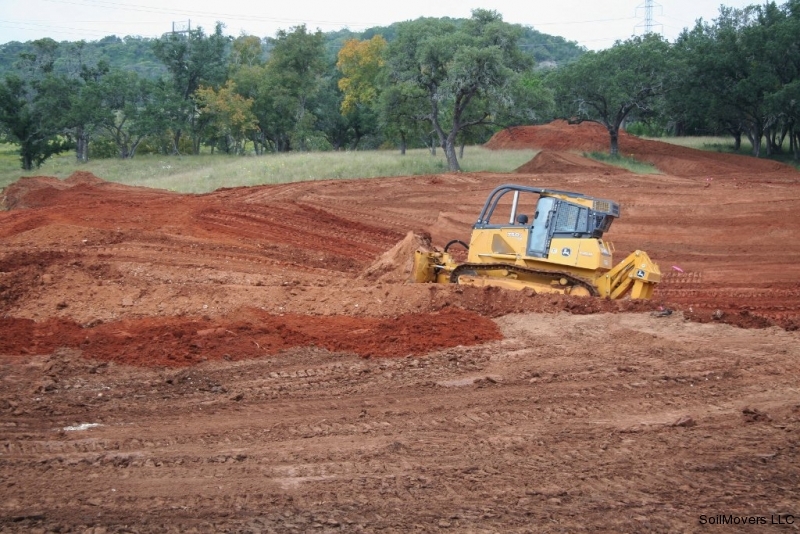 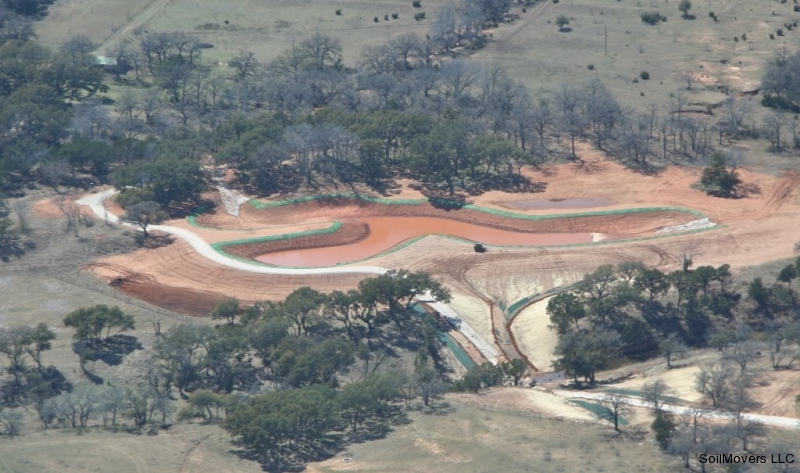 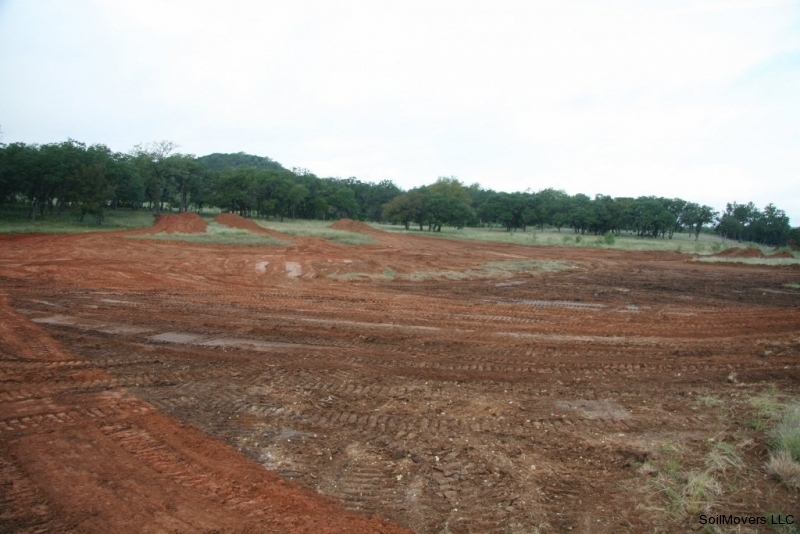 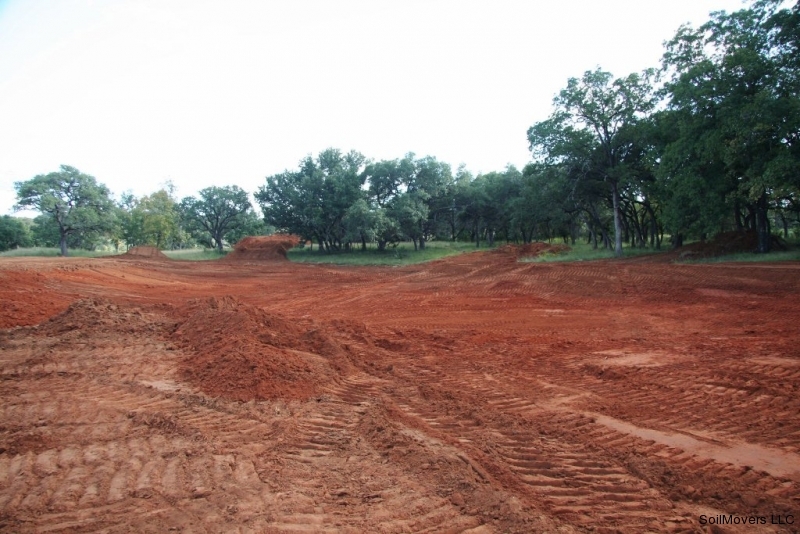 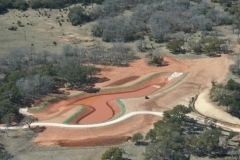 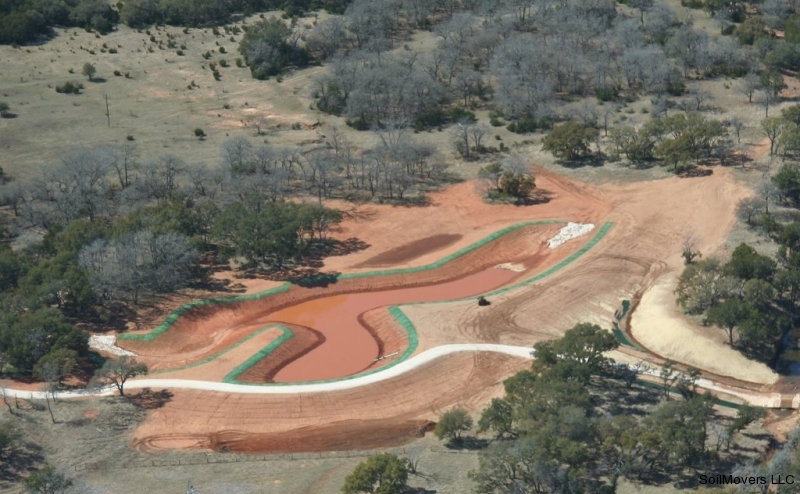 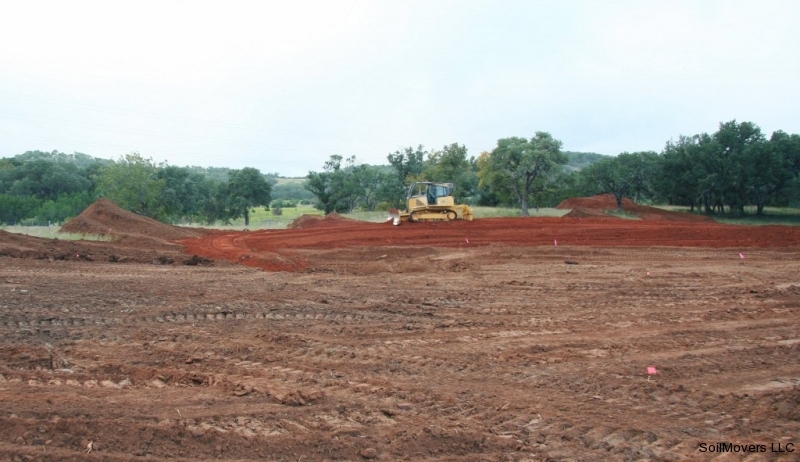 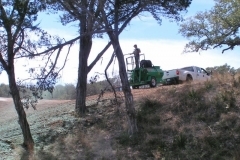 The building of an approximately 2 acre plastic liner lake on the owner’s retreat property in the beautiful Hill Country of Texas. 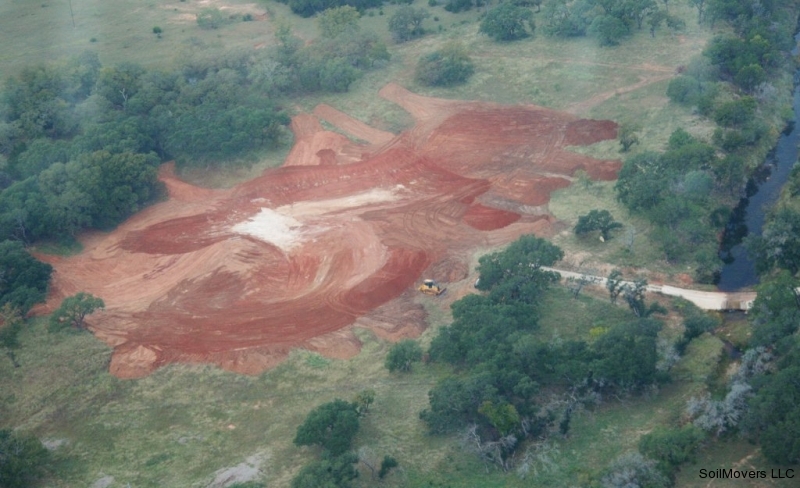 Aerial 'before' picture of a scenic Texas Hill Country retreat. 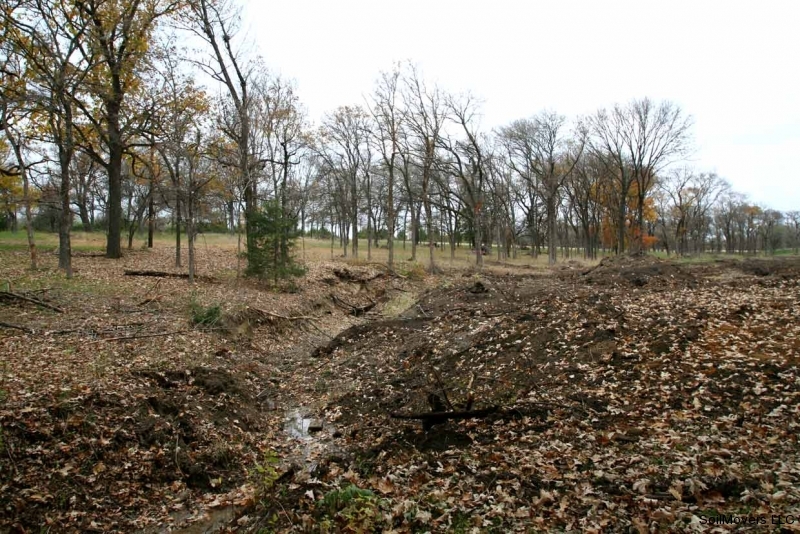 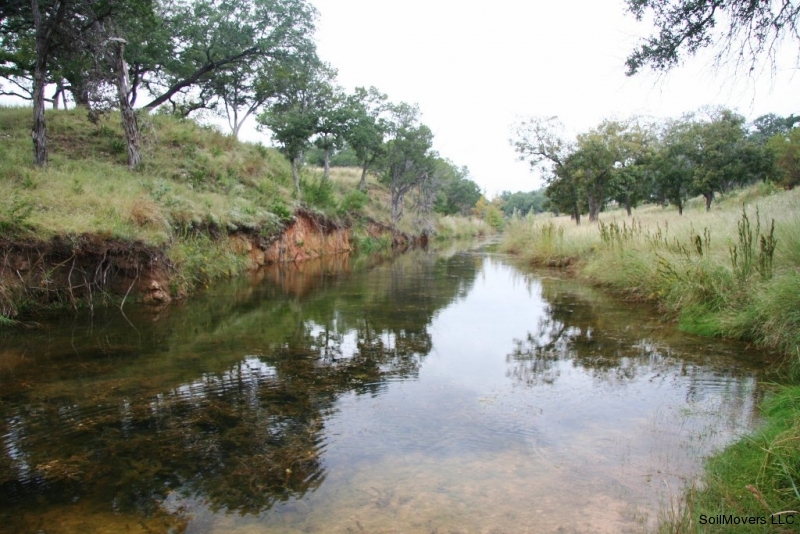 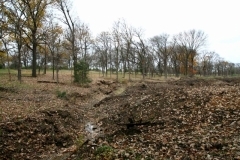 This naturally beautiful existing creek on property will not be connected to the lake in any way. 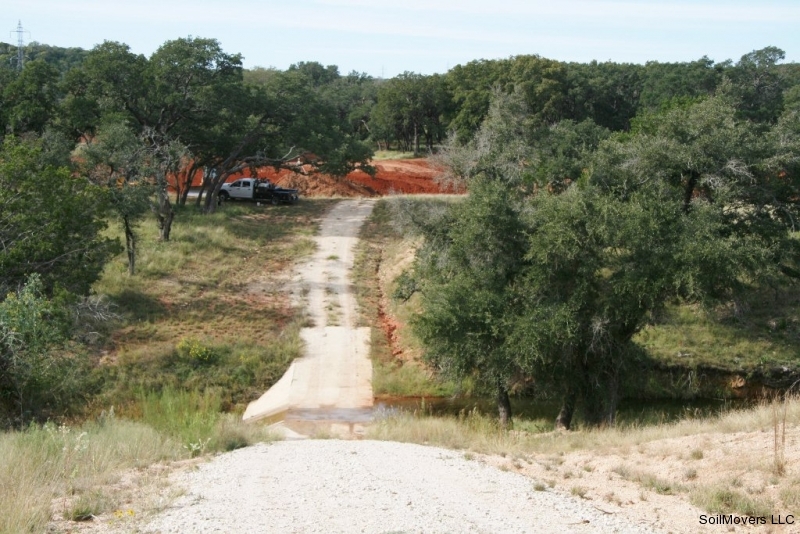 Low water crossing with the recreation lake on the other side. 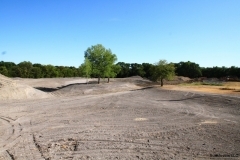 Soil testing revealed low soil plasticity which will not hold water. 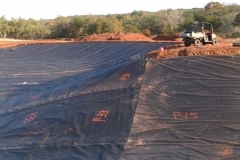 A heavy plastic lake liner will be used. 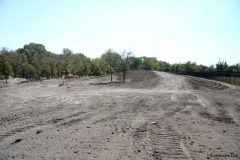 As few trees as possible were removed. They were incorporated into the design of the lake to make it aesthetically pleasing. 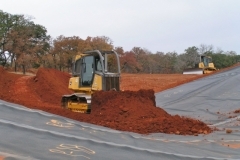 Stockpiled topsoil used for the final cover and clean debris free dirt to cover the plastic liner. 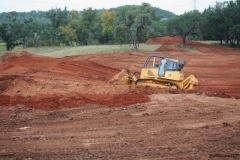 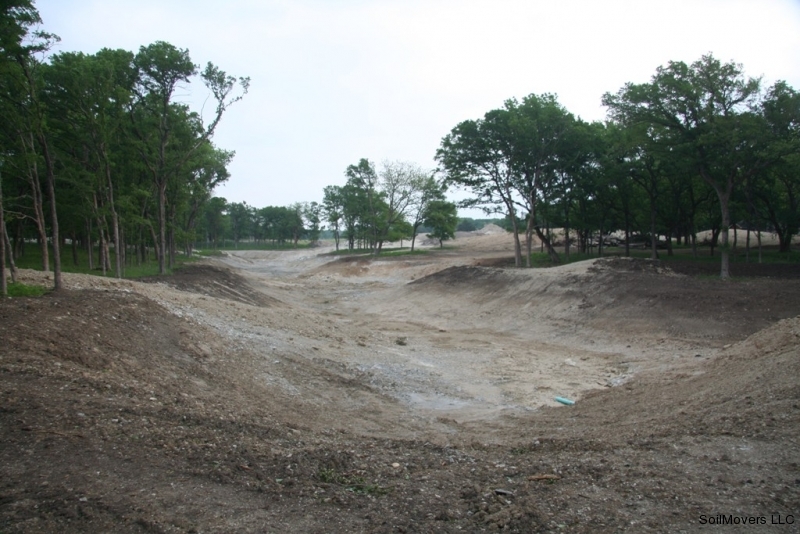 Few contractors take the time to conserve this valuable soil for future use. Once the shape of the lake is set the area is excavated for proper depth. 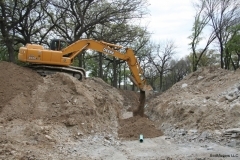 A layer of rock was encountered while creating depth. 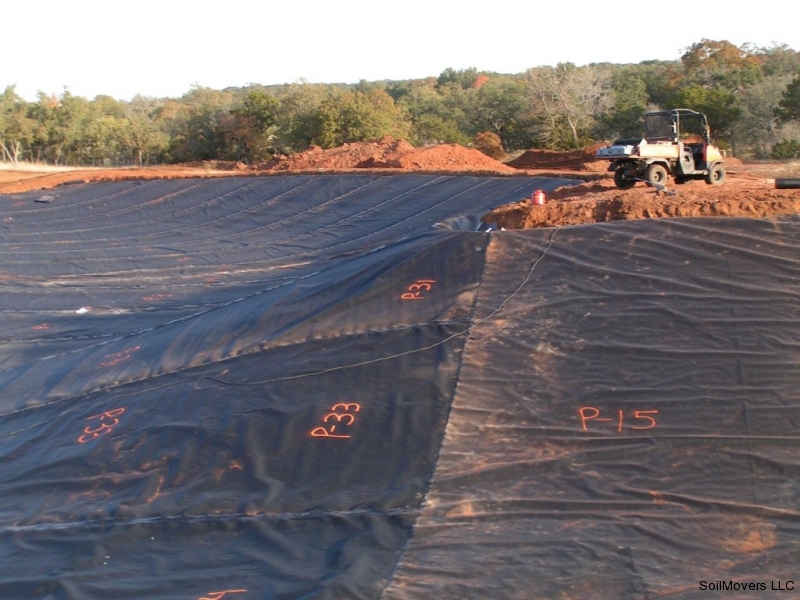 This will not be an issue with the heavy plastic lake liner in place. 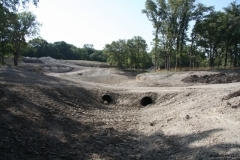 Large rocks are removed from the bottom of the lake. 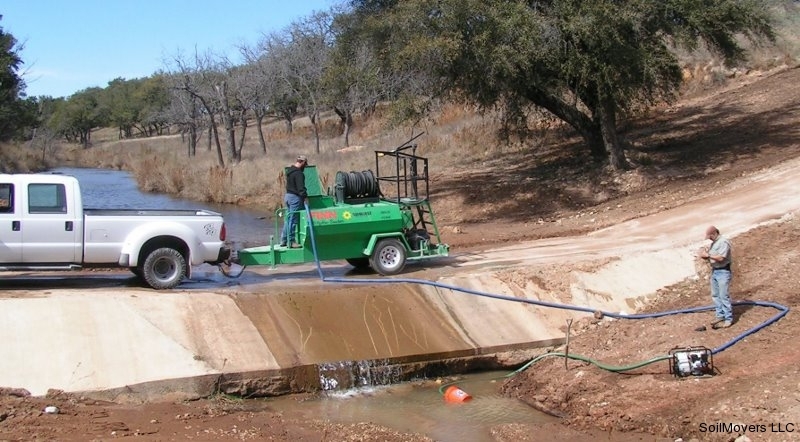 You must have the right equipment to handle any unforeseen event! 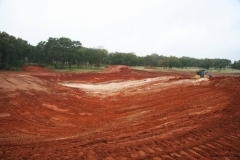 The excavation of the lake begins to show its' shape. 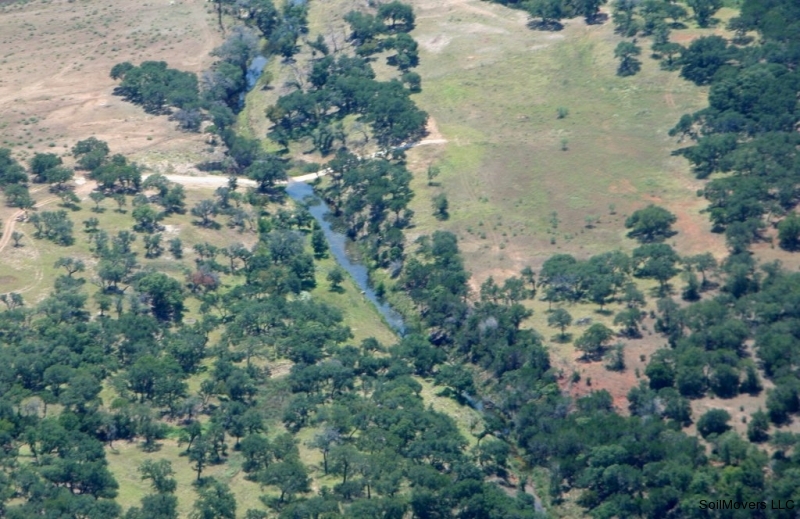 The large layer of rock is clearly evident. 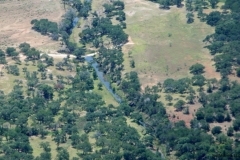 The creek and low water crossing are on the right. 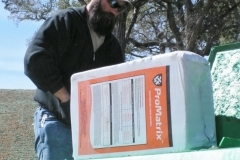 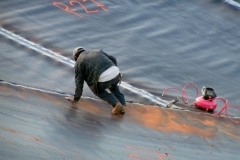 Plastic lake liner panels are individually numbered for quality assurance purposes. 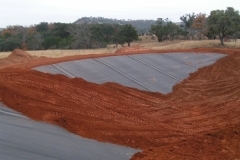 Each seam on each liner panel is pressure tested and the results recorded. 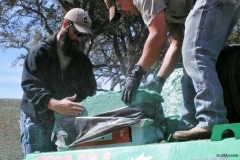 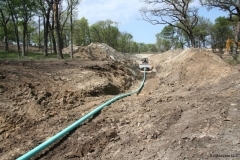 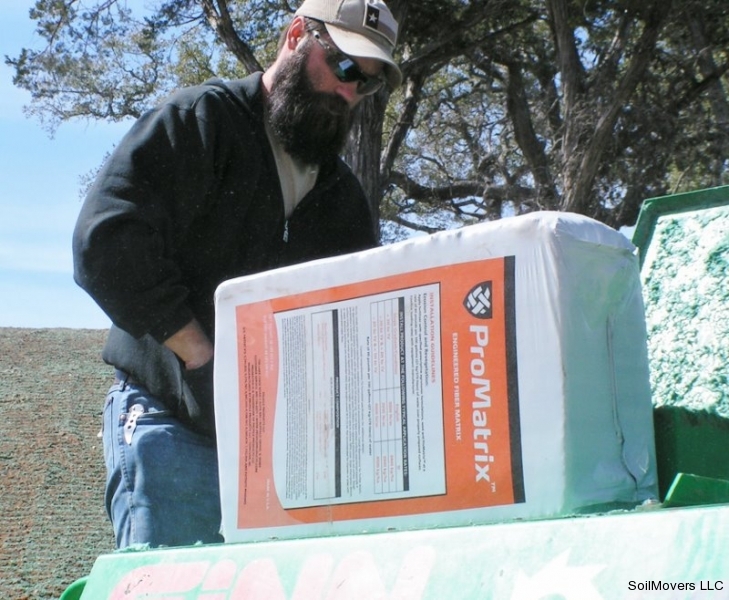 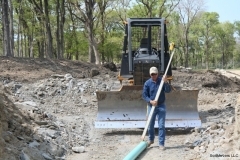 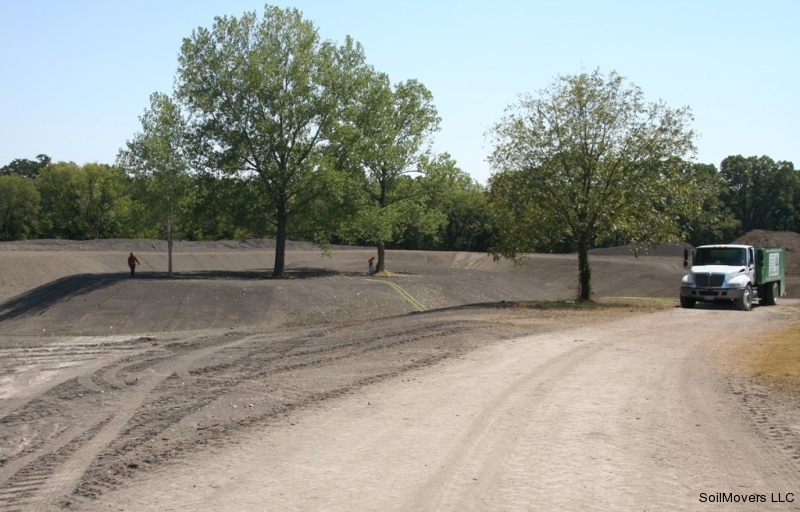 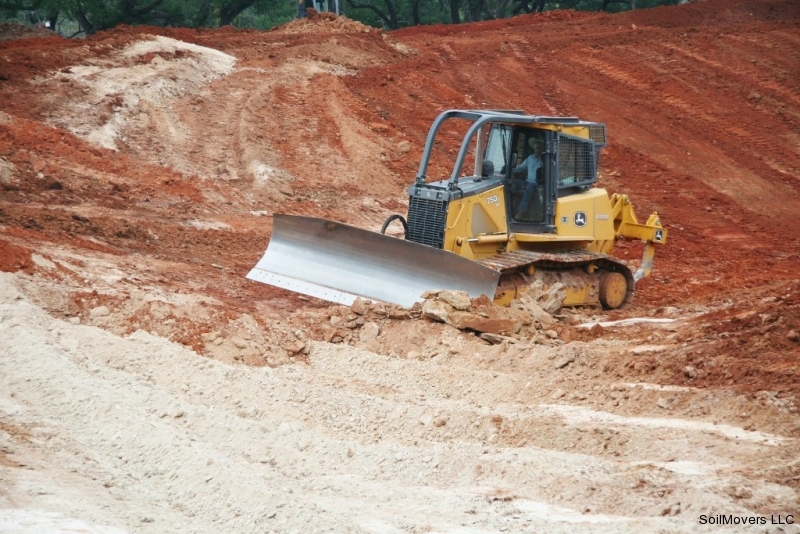 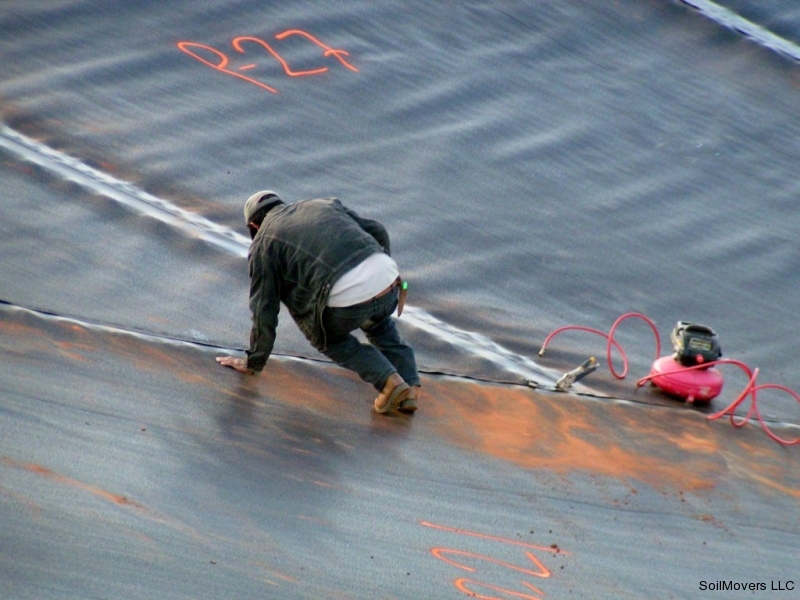 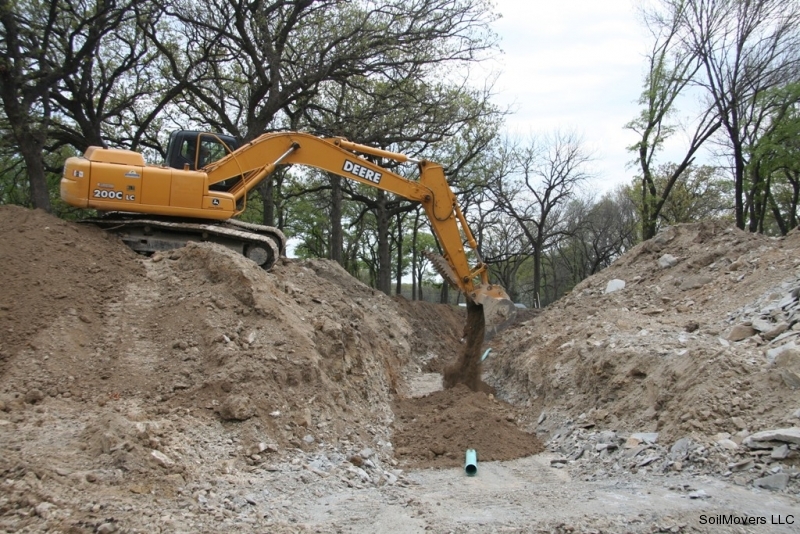 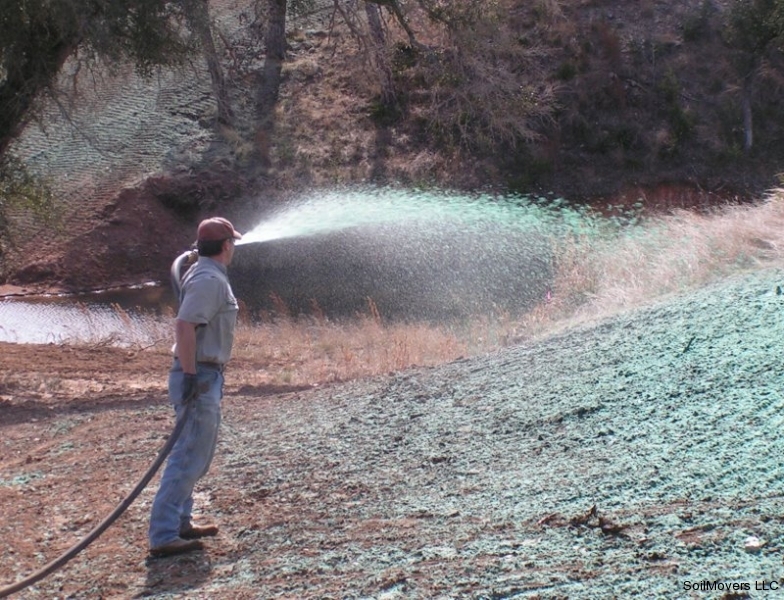 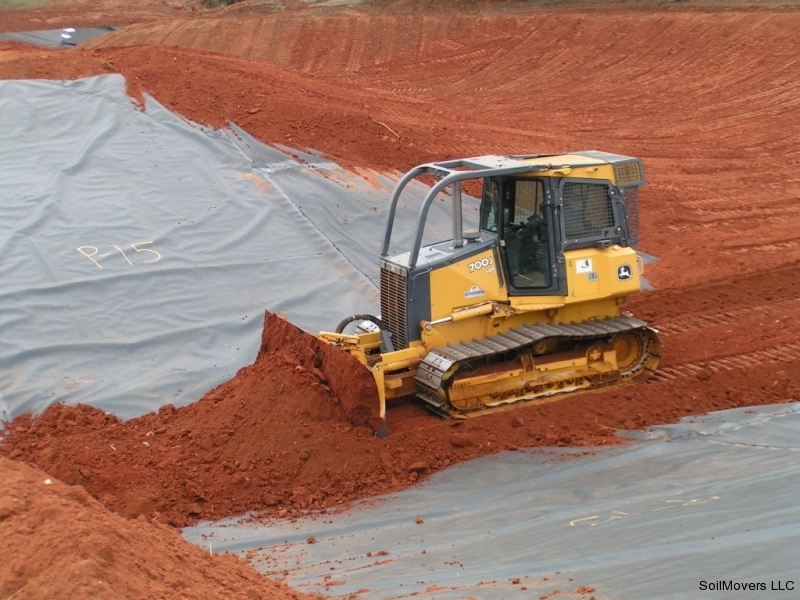 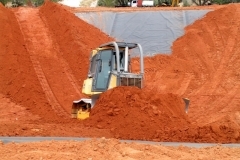 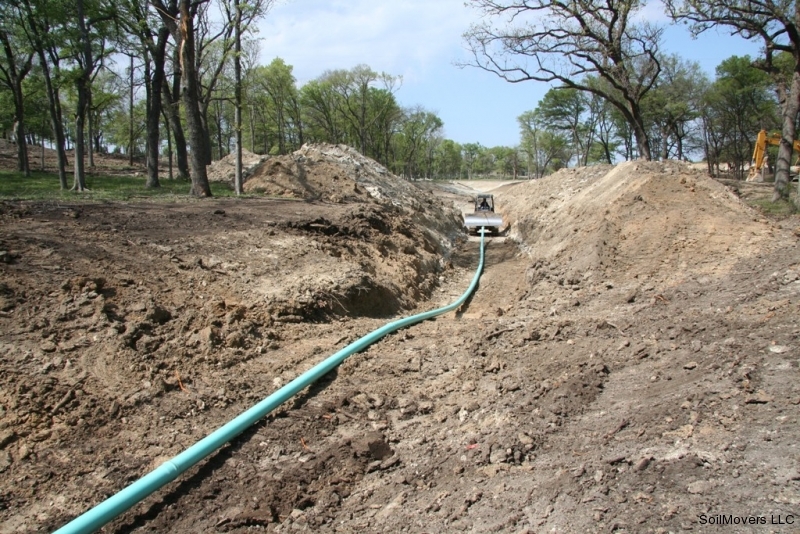 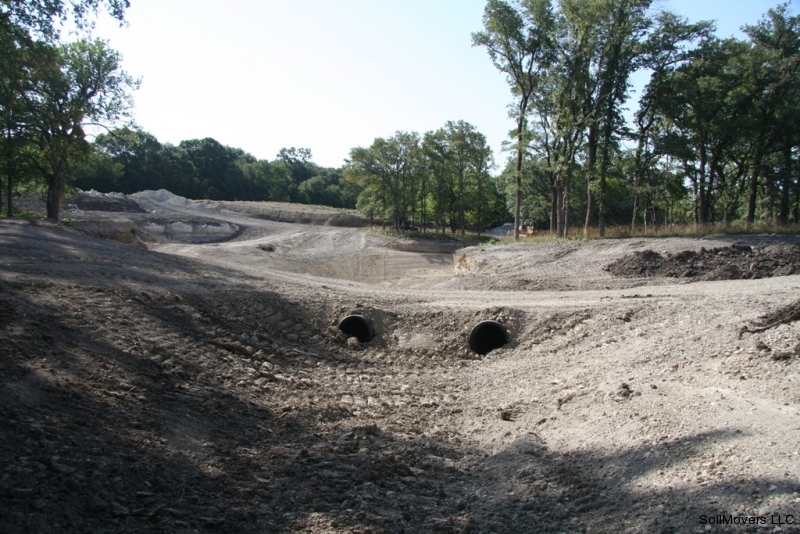 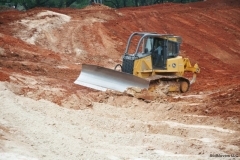 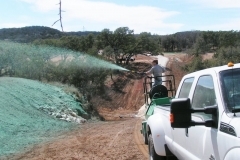 A layer of stockpiled cover dirt is carefully placed on the plastic lake liner. 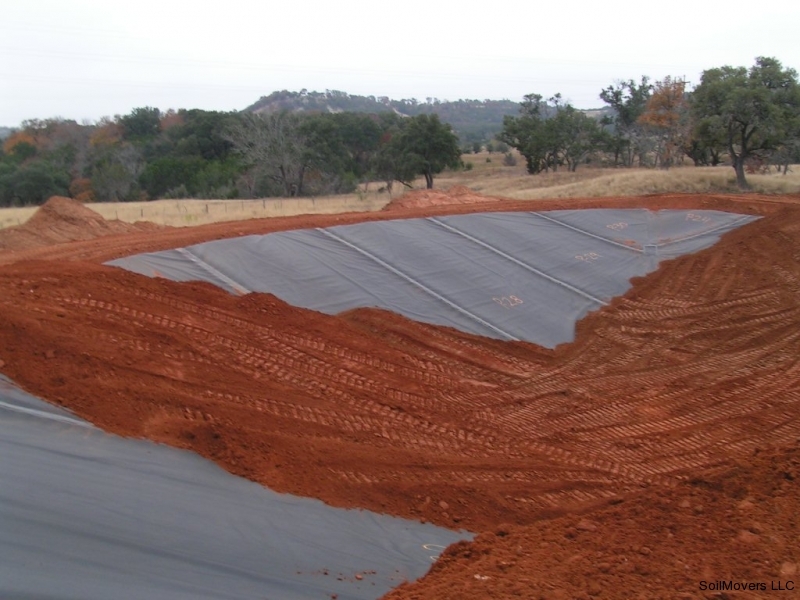 Only an extremely skilled equipment operator can perform this task without damage to the plastic liner. 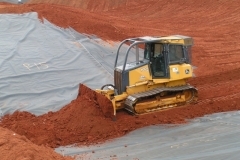 A uniform layer of cover dirt is put in place. Lake may be filled once cover dirt is placed correctly. 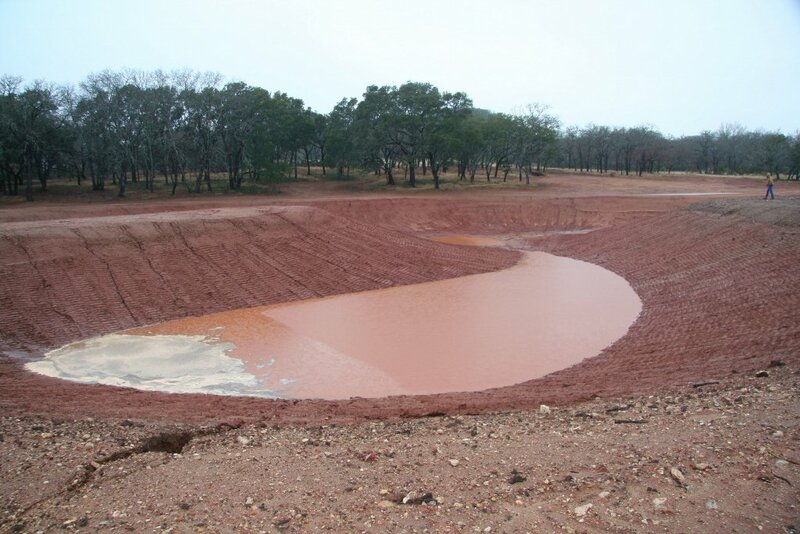 First rain and the lake catches water. 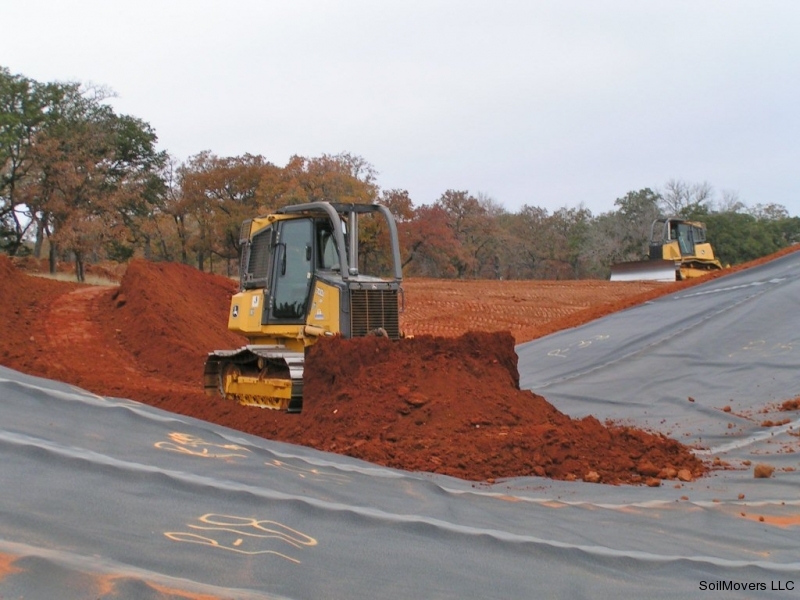 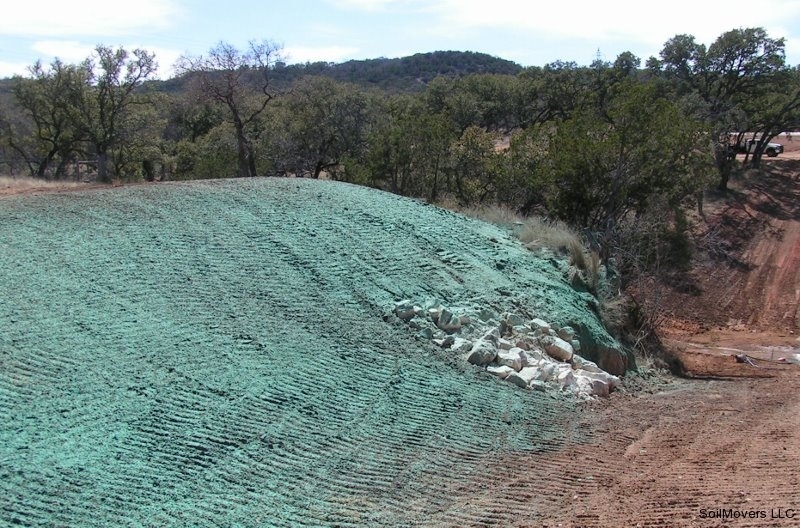 Rolls of erosion control mats. 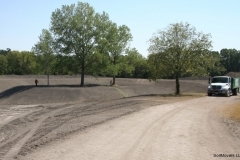 They will be placed along the shoreline to prevent erosion until grass is established. 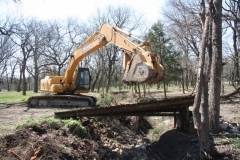 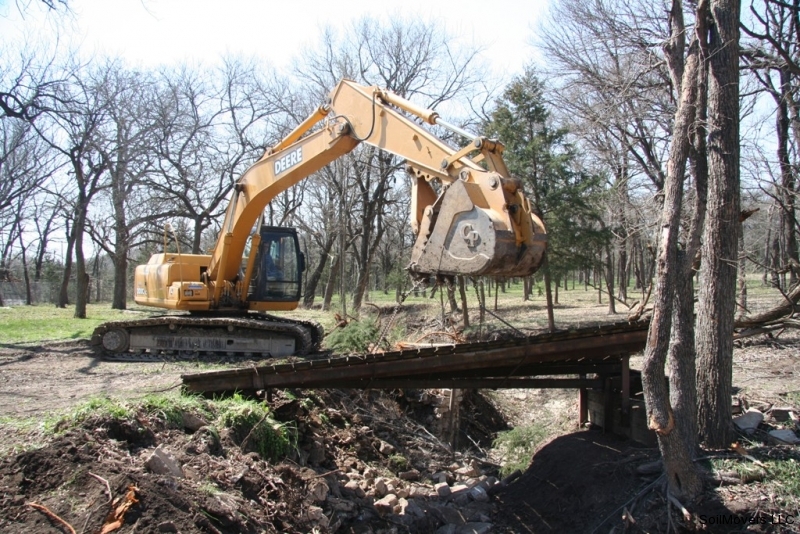 Large rocks are placed for additional erosion control. 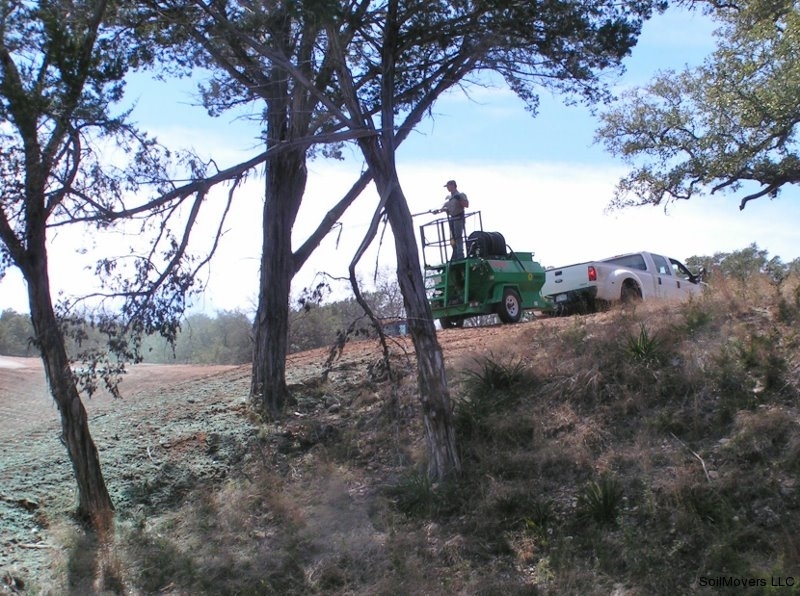 The ranch road is upgraded and improved to provide all weather access. 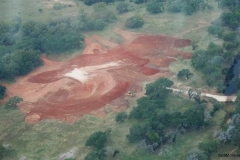 Aerial view of completed project. 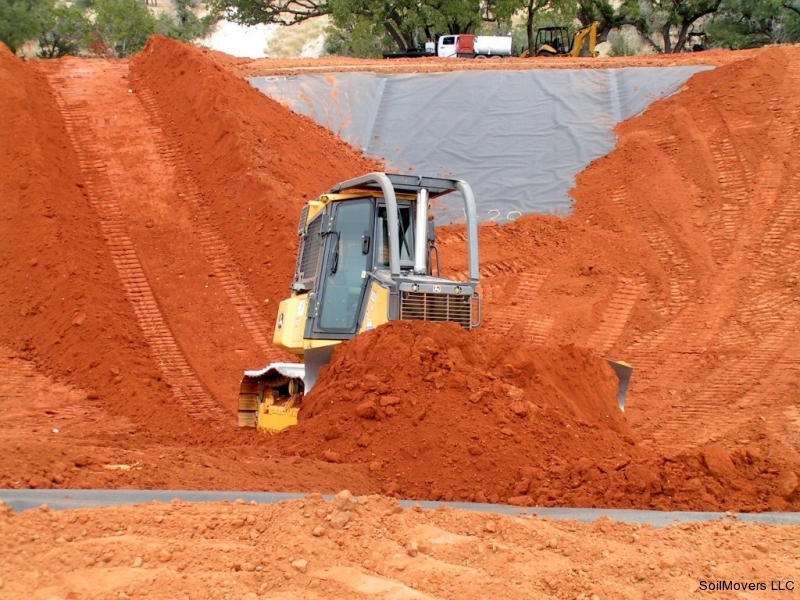 The land owner decided to us the hydro mulch process to seed the new excavation. 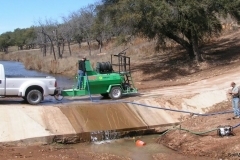 Here, they fill the tanks with water. 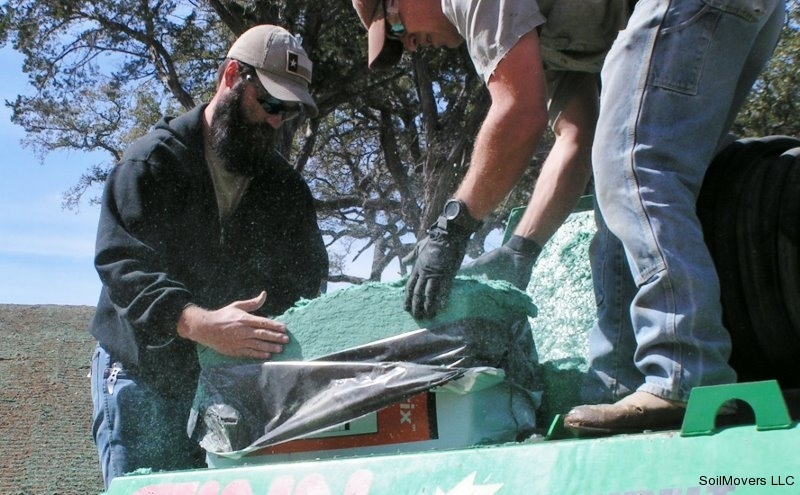 The hydro mulch is shipped in a dehydrated bale. 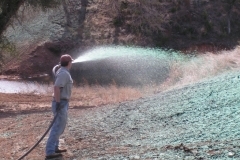 The dry hydro mulch is added to the tanks. 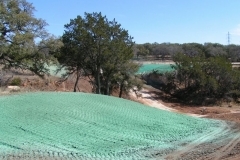 The areas are smooth graded before the first layer of hydro mulch is applied. 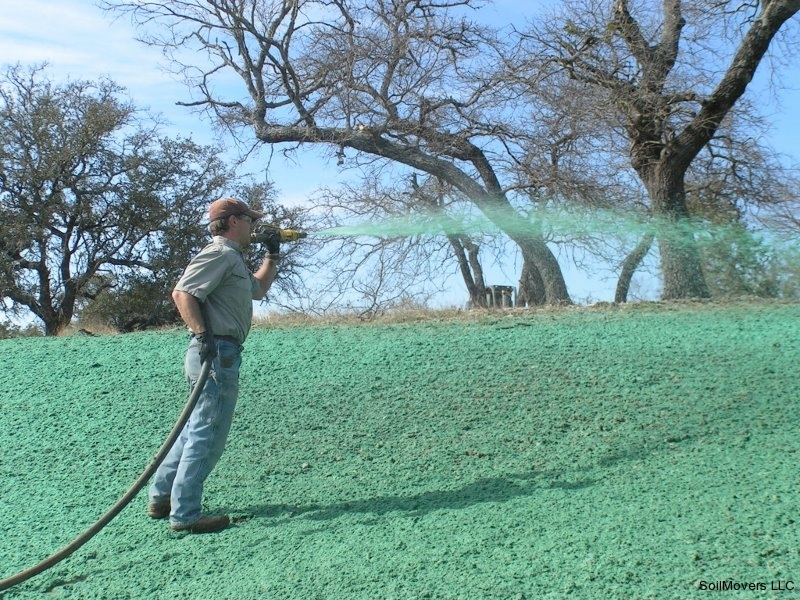 The first seed layer is sprayed down. 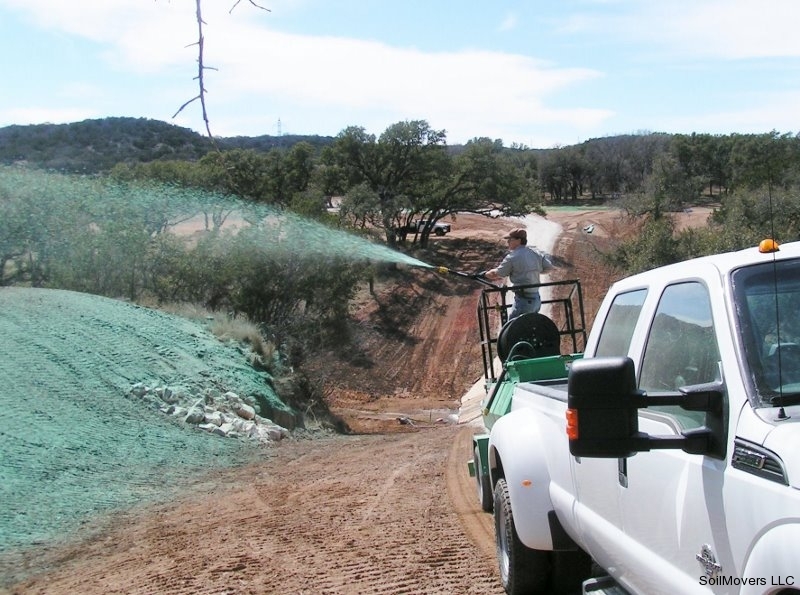 Seed is sprayed in dozer tracks. 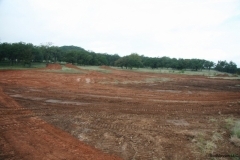 The tracks will hold the seed in place on the slopes. 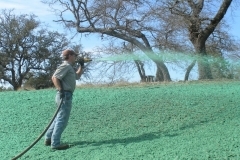 A top coat of mulch is sprayed over the first seed layer. 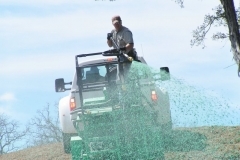 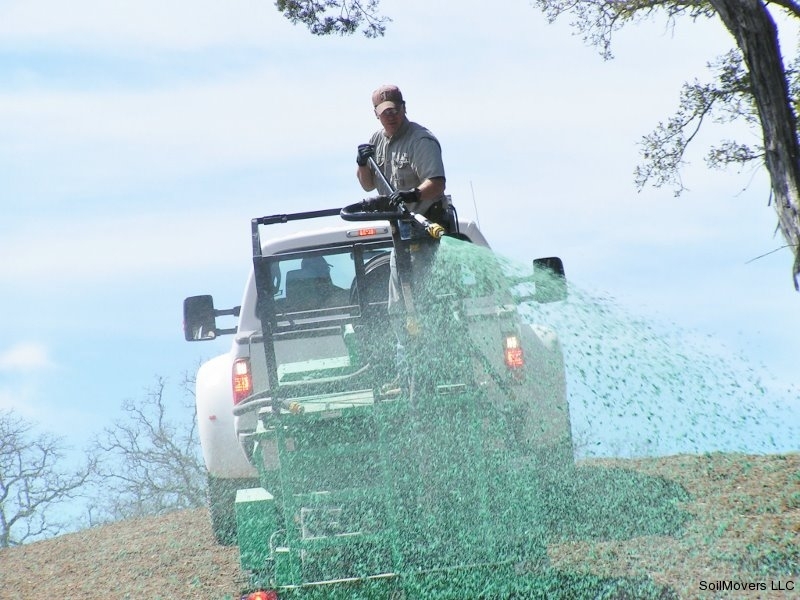 Hydro mulch is an added expense but saves money in the long run. 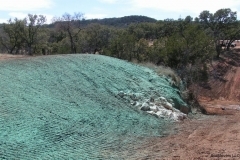 The grass is established much quicker and erosion is held to the minimum.